A bar (also called a measure) is one small segment of music that holds a certain number of beats. It can be thought of as a container. The number of beats a bar holds is determined by the time signature of the song, most commonly 4/4 (also called ‘common time’). When you look at the time signature, the top number tells you how many beats are in a single bar/measure and the bottom number tells you what kind of notes those beats are. For example, in 4/4 there are 4 quarter notes in a measure. In 6/8 there are 6 eighth notes in a measure. 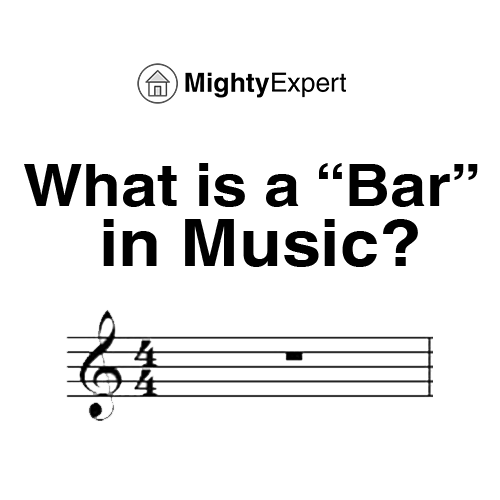 You’ve probably overheard the term “bar” from someone talking about music. 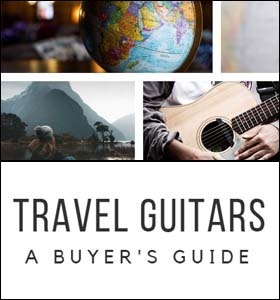 Or maybe you’re picking up your first instrument and want to learn a little bit of music theory. 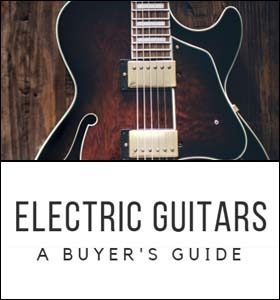 No matter what the reason, we’re going to explain (in simple terms) what a bar is, how bars tie into time signatures (don’t worry, we’ll explain those too), and finally, we’ll teach you how to count bars. But first things first: It’s important to note that “bars” and “measures” are the exact same thing! Whenever we refer to a bar or a measure, we’re talking about that small piece of a song that holds a certain number of beats. Take a look at the image below. It illustrates the four different types of bar lines you can expect to see when reading sheet music. Single Bar Line: A single bar line indicates the end of a measure (or bar). You don’t stop here and you don’t need to do anything special - just play right past it. All a single bar line shows is the end of the “container” that holds a certain number of beats. Double Bar Line: This is the exact same as a single bar line with one difference: it indicates the end of a section of a song. Just like with the single bar line, you don’t have to do anything but play right past it. Double bar lines are used by the composer to show that a certain section of the song came to an end. End Bar Line: If you see the end bar line, you’ve come to the end of the song. This is where you stop playing and end. Repeat Symbol: The repeat symbol is easily recognizable with its two dots. The dots pointing outward to the right show that a repeat section is beginning. The dots pointing out towards the left show that the repeat section has ended. Whenever you see the repeat symbol dots like shown above, it means that you have to repeat everything inside of the dots one time. Note that if you don’t see a start repeat dot (pointing to the right), it means you go all the way back to the beginning of the song and repeat the entire song again. That’s what bar lines are -- but you can’t end here. You won’t get a complete picture until you know exactly how many beats each bar (measure) can hold. We explain this in the next section on Time Signatures. If you’re just getting started with reading sheet music and just beginning to get familiar with some basic music theory, time signatures can get intimidating until you figure out how they work. And that’s our goal here -- to take a concept that seems difficult (time signatures), and break it down into something simple. It’s not that complicated once you get the gist of how it works. If you look at the image above you’ll see some numbers: 4/4, 3/4, and 6/8. These numbers are found at the beginning of every song and are called Time Signatures. The top number in a time signature tells you how many notes are in a measure. The bottom number in a time signature tells you what type of notes those are. Let’s look at the top example (2 Bars of 4/4). Here we have 4 quarter notes in each measure. We can add them up to verify. The first measure starts with a quarter rest followed by 3 quarter notes. 1 quarter + 3 quarters = 4 quarters! Yep, all of the notes fit into the measure’s “note container”. 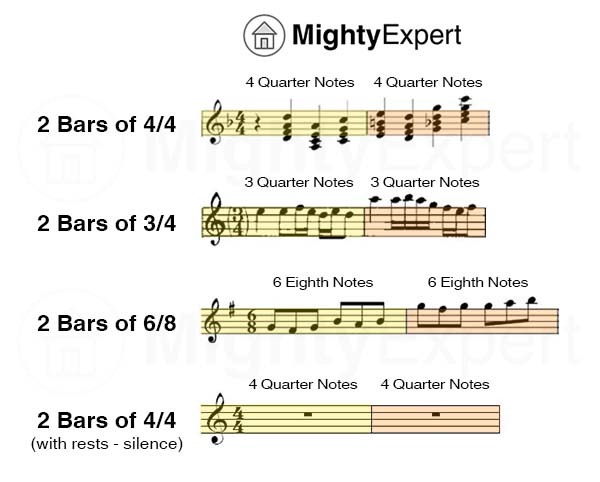 4/4 means that each bar contains 4 quarter notes -- no more, no less. The second measure is much easier to count. It contains 4 quarter notes. As you get into more complicated rhythms, like our 2 Bars of 3/4 example above, you’ll have to deal with more complicated fractions. But this is just a little bit of extra math (and if you’re like most people, you won’t have to do it very often… if at all). The concept behind each time signature remains the same! 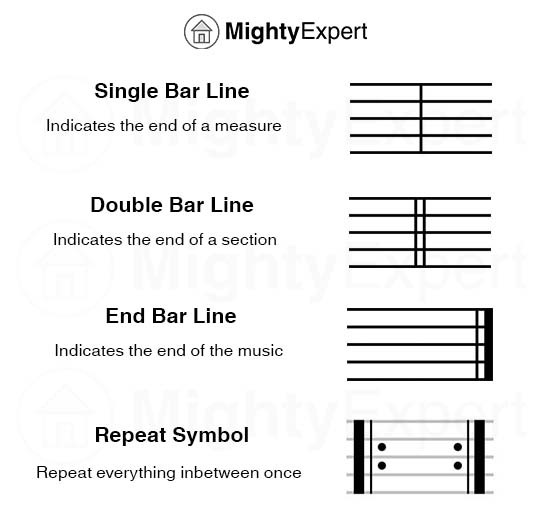 Once you know about measures and time signatures, counting bars gets really easy. 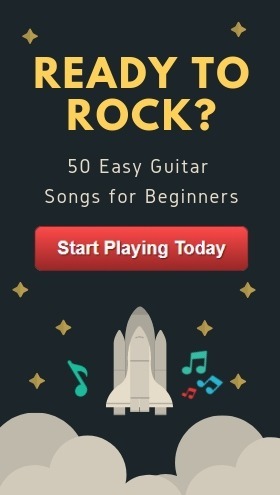 Step 1: Figure out the time signature of the song. You won’t be able to accurately count bars unless you know what time signature the song is in. Is it in 4/4? 6/8? The best way to do this is to listen, and at the same time try counting some of the most common time signatures. The next step once you know the time signature is to just start counting. If you know the song is in 4/4, then every time you get to four… you’ll know you just counted 1 bar. For example: 1, 2, 3, 4… [1 bar] 1, 2, 3, 4… [2 bars] 1, 2, 3, 4… [3 bars] … etc. Same with the other time signatures. As soon as you get to the end of the measure, increase your bar count and start back over at 1 again. As a musician, training your ear is very important. 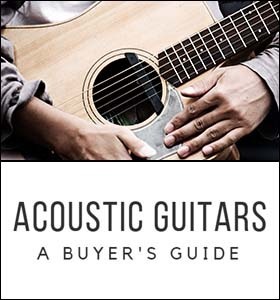 Eventually, you might want to start playing songs by ear and picking them up without any sheet music. Counting bars is a very simple way to start training your ear for rhythm -- not necessarily tone at this point. Keep practicing, maybe even make it a game. See who can figure out the time signature of your favorite songs the fastest. The more you practice, the better you’ll get! 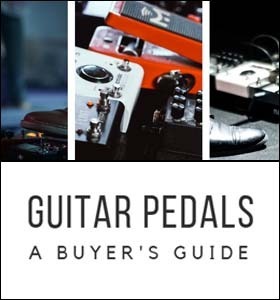 If you’ve been paying attention, you’ve no doubt learned something new about bars, measures, and time signatures. And the good news is, this is all knowledge that’ll stick with you from this point forward! If you want a reference guide for the future in case you forget, go ahead and bookmark this page. We wish you the best of luck in your music-learning endeavours!